TGIF, for many it means the beginning of the weekend, heading up to the Cottage, getting together with friends, going on a date…. At our house, it means all the kids in the neighborhood come over to spend the evening with my three boys so we end up with a houseful of hungry teenagers. 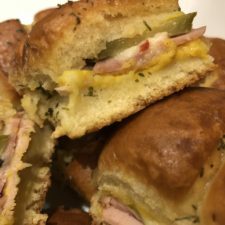 For the longest time I thought sliders were just mini burgers, which looked cute, but were time consuming to make and not that filling so I didn’t really think of them as an option to feed all those hungry kids, and then one day in the grocery store as I was grabbing some dinner rolls… a light went off! 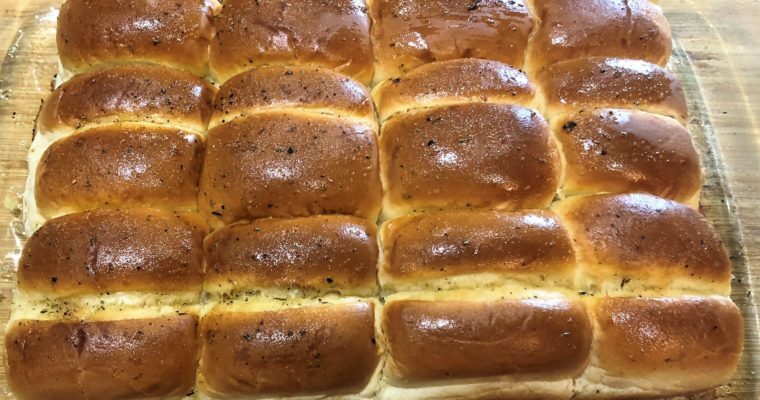 These buttery little buns would make PERFECT slider buns, soft and buttery, easy to slice, makes 12 sandwiches in minutes.. PERFECT! 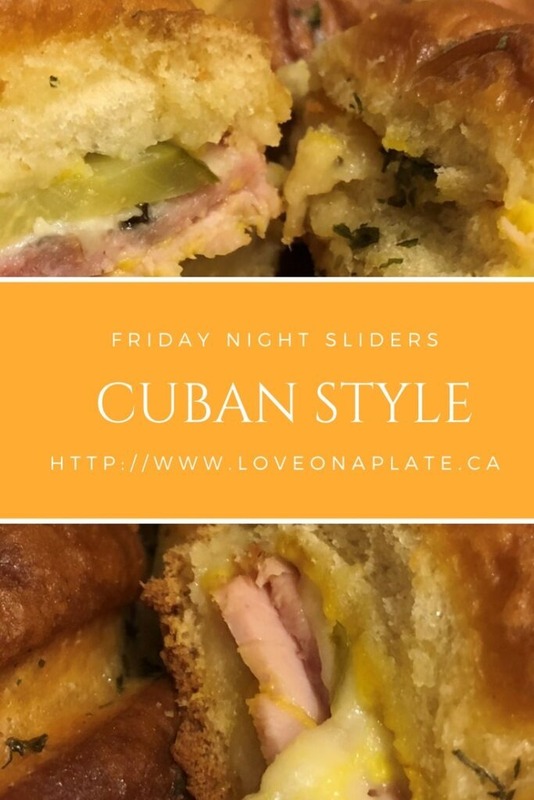 While these aren’t traditional Cubano Sandwiches, as they used sliced assorted deli meats and not authentic Pork Roast, they are delicious. I’m not normally a Yellow Mustard fan, but in these, it works and I don’t recommend using Dijon which is usually my preference. Don’t skip the pickles either, I like garlicky ones, to cut through the richness, and bring a pop of flavour. 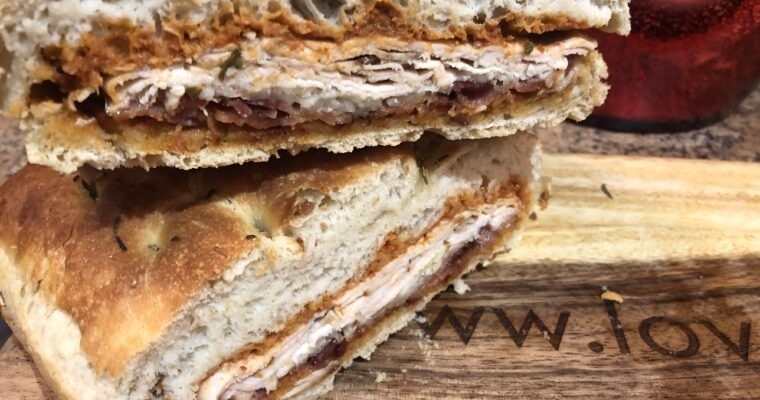 I served these hot, but they would also make an excellent Meal Prep Lunch if you wanted, just sliced into individual sandwiches and pack up with some salad on the side. It’s one of my new favourite tricks for meal prepping lunches during the school year. Put top layer of sliders on, mustard side down. Place in a greased 9x13 dish. In a small bowl mix together butter topping. Combine melted butter, onion and garlic powder and parsley flakes. With a basting brush, baste melted butter over top of slider rolls. Bake uncovered at 350F for 20 minutes. Cut into sliders and serve.